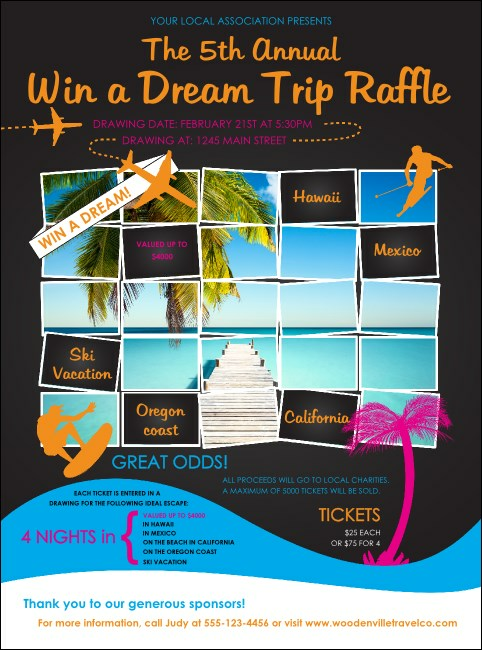 Give your pre-event promotions a prime destination when you print Win a Vacation Flyers and advertise your giveaway event in advance. With room to customize thirty-two lines of text with all your event details and an enticing picture of a peaceful island getaway, these Flyers will send your ticket sales flying! TicketPrinting.com helps you relax with great promotions.